I met Ms. Shirin Batliwala in 1997, where she did a half day training session with our batch of Hotel Operations Management Trainees, we were 45 of us. Her session was one of the best, we simply loved her grace, a lady who had tremendous knowledge and who showed great knack of handling people – guests or the staff! She inspired me so much that I started to dream of becoming the General Manager one day, the dream changed in just 4 years though when something else looked exciting to me. But the respect and the adulation that we hold for Ms. Batliwala has grown over the years.I worked under her when she came onboard the Taj Mahal Hotel as the General Manager; have seen her in ‘action’. She managed things with ease, she was a disciplinarian but also a lady who understood all, she was compassionate and believed in empowering others. A great mentor and a leader par excellence, she was loved and respected by all. The other ‘firsts’ in her illustrious career with the prestigious Taj Group are;Ms. Batliwala was the first lady F&B Manager of a five-star hotel in the country, and subsequently, the first lady General Manager of a large hotel in India. She has been a Taj person; the Taj culture is a benchmark not only in India but also is highly respected the world over- a culture that nurtures opportunities for growth, the openness, the family feeling, the strong values of the Taj and also the Tatas; that are imbibed by the people. She has not only lived those values but has contributed to strengthen them.While at the Taj she was involved in the Prevention of Sexual Harassment against women, being the chairperson of the committee at the corporate level. She still continues to be deeply committed and involved with this, serving as the external member on the POSH committees of several companies. 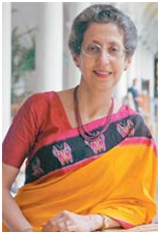 Ms. Shirin Batliwala was born into a Parsi family in Bombay. She did her schooling from the J. B. Petit School at Fort and then joined Wilson College at Chowpatty. 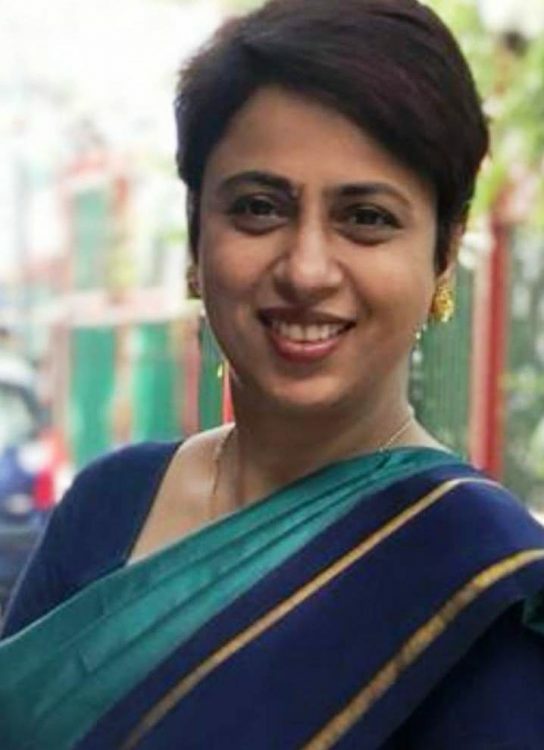 Studying Arts did not really fascinate her and when a family friend of theirs,who taught at the Dadar Catering College, suggested to her the course in hospitality, she grabbed the opportunity as it was a new field then. She liked the college and found the course to be interesting.She did her internships at two different hotels, the Taj kitchen under the culinary genius Miguel Arcanjo Mascarenhas (Masci) and at the Ambassador Hotel under its old Greek owner, Jack Voyantizs. On graduating from the catering college sheapplied for a job at The Taj Mahal hotel, Mumbai.She didn’t want to join housekeeping department, which was the only department offered to the ladies at that time. But Masci at the Taj, and the F&B Manager then, Mr. Daruwala, were familiar withher. As a student she had done waitings at the hotel for important banquets for dignitaries like the King of Afghanistan, the Shah of Iran, the Aga Khan and other visiting royalty and heads of states. She was selected for a job in the Food and Beverage Operations. Her first job assignment was the extremely busy; banquets. Shortly after theTaj opened the members’ only elite club, Chambers, in 1975, she became its manager. She proved her mastery in the department and didn’t look back.She rose to be the Assistant F&B Manager in charge of Chambers and looking after the other Taj restaurants, Golden Dragon, Tanjore, Harbour Bar, Rendezvous, Apollo Bar, Sea Lounge and the nightclub, Blow-up, that soon became the hip and happening ‘1900s’. As the Taj grew Ms. Shirin Batliwala too grew with it. Before the Internet came, a lot of reading up and research was needed to build knowledge and competencies. To seek as well asto upgrade her knowledge, she travelled to many countries such as Singapore, Hong Kong, Malaysia, the Philippines, and all over the West. She used to also read a lot and meet visiting chefs to understand what the hotel industry and F&B was like outside the Taj and India. Her knowledge of the industry is impressive while her understanding of cuisines and wines is highly respected. In 1980 she moved to Hotel Taj President as the F&B Manager,setting up the Trattoria and Gulzar restaurants, and the hugely popular Library Bar. In 1982, she was back at the Taj Mahal as the F&B Manager. Her next promotion took her to Calcutta, to first set up and then open the Taj Bengalas the General Manager, a post she held for eight years. She came back to Bombay in 1997 as the Hotel President’s General Manager with additional charge of Taj properties in Aurangabad, Indore and Nashik. 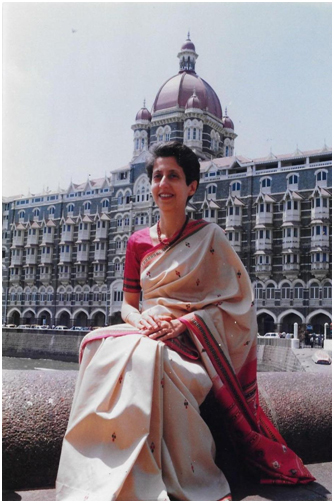 Her last hotel as the GM was the place where it all began, the Taj MahalHotel Bombay, in 1998. She wasn’t done yet, she was in charge of the F&B on a corporate level for Taj, her responsibility was upgrading and standardizing the product, coordinating with business development projects for future hotels, renovating old restaurants, interacting with corporate chefs on new ideas and cuisines, and working on rolling out a fabulous wine list for the hotel group. Area Director – Goa & South India, Leisure S.B.U. 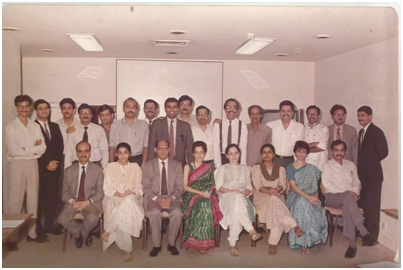 She summarizes her long innings with the Taj Group as being a great experience. 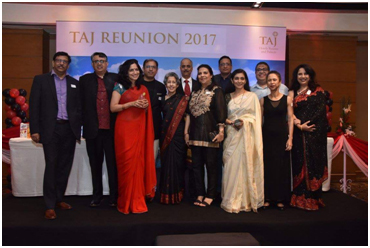 The Taj culture she believes is difficult to replicate, a culture that strives on providing its employees with immense opportunities for growth, the openness of the group, the family feeling, the strong values of the Taj and also the Tata’s that are imbibed by the people. It was this feeling that she has cherished the most and still upholds them. When asked about the most empowering and cherished moments of her illustrious career she said, “I was lucky to have very close interactions with Mr JRD Tata. His eye for detail and his humane approach had an everlasting impression on me. His words ‘To be a leader you must lead human beings with affection’ touched me deeply and were my guiding principle. My career was also deeply shaped by our ex-chairman, Mr Ajit Kerkar, who always challenged you to do more than your best, and reposed faith in me to open the Taj Bengal”. Ms. Shirin Batliwala epitomizes grace, strength, knowledge and humility. Her career is in itself a motivational guide for all women who have or wish to build a career in Hospitality industry. She is, The Taj!